Pictured: Nordstrom as it will appear on November 27. 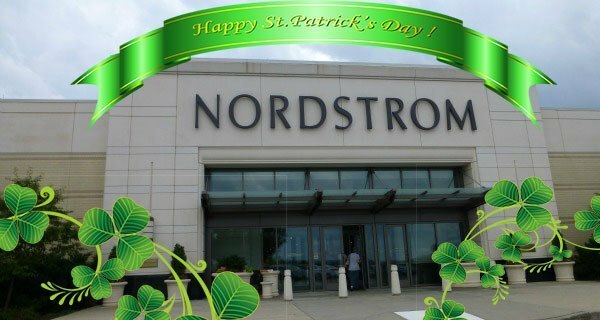 Nordstrom, the large Seattle-based department store company, announced this week that they refuse to give into cultural pressure and will not, in fact, be decorating for St. Patrick’s Day quite yet. Many are hailing the move as an inspirational rejection of holiday commercialization. When questioned about their bold decision, brand representative Malika Patel sent us an explanation by mail. “Here at Nordstrom, we notice our competitors stuffing their windows full of cheap leprechauns and tacky green tinsel long before Thanksgiving, just to make a buck! But not us,” read the missive, printed on Easter-themed stationary.